Saffron Tree: Dr.Seuss: You One-of-a-kind, No-one-like-you You! Dr.Seuss: You One-of-a-kind, No-one-like-you You! who was juggling One Apple Up On Top. When Pop asked, Mr.Brown Can Moo Can You? She wondered, Can I swim in McElligott's Pool? Would I really love to eat Green Eggs and Ham? And, where is the silly old mister Fox in Socks? and what fun it would be If I ran the circus too! I had Trouble in getting to Solla Sellew. I wish that I had duck feet, Would you rather be a bullfrog? 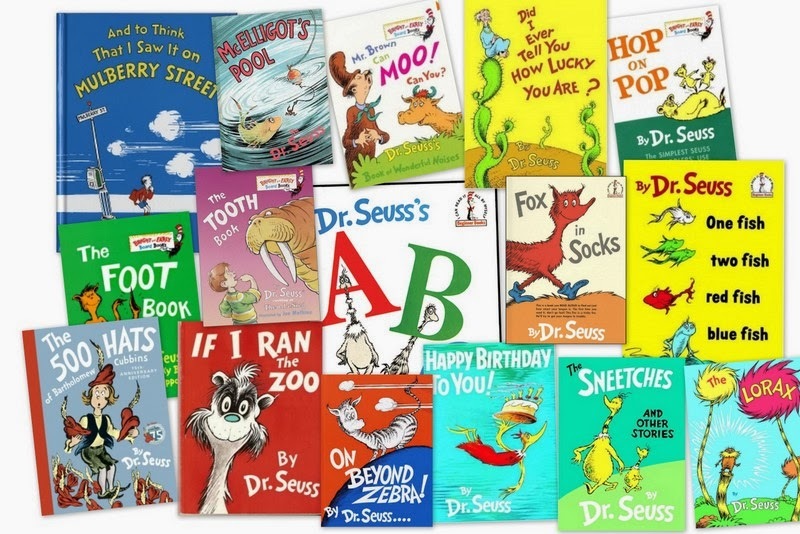 Thank you, Dr.Seuss, for bringing so much joy to us all through your books!